My partner and I are renting an apartment just outside of Melbourne CBD and the photo to the left is my makeshift work space slash dining table, slash living area (But let’s be honest, I spend a lot more time on the couch). We’re in the market for our first home, and the room or nook that I’ll be looking forward to decorating the most is the home office! My essentials are an ergonomic desk chair (there’s only so much that yoga can do! ), a lot of desk space, shelf storage and a comfy (yet gorgeous) grey tweed armchair (my partner is not impressed with my fondness of tweed). 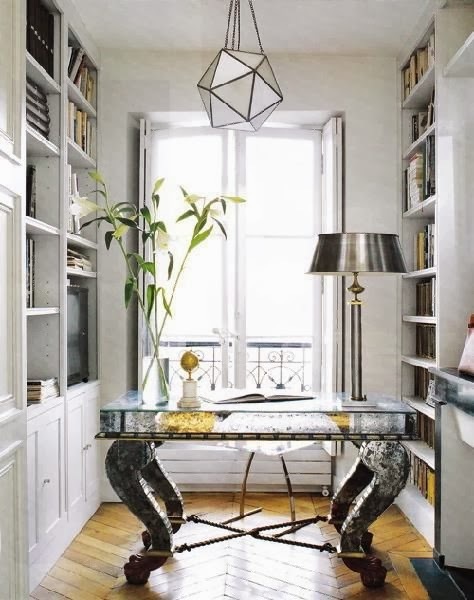 For now, here’s a little home office inspiration.